Part of the charm of Palm Beach, Florida living is enjoying the beautiful weather. Spend more time outside, and beat the heat with patio shades. Sometimes called roll down awnings, or roll up shades, these Patio Shades provide a beautiful and convenient solution for sun/weather protection and privacy. 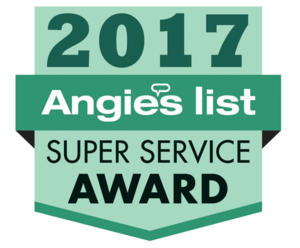 Patio shades can be installed outside a window, on the edge of a patio or even over the entrance to your home. Available in both manual and motorized configurations. 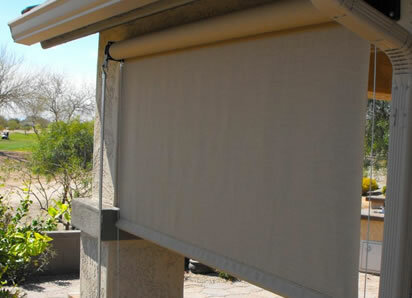 Roll-up patio shades have the sun blocking power of solar screens and are versatile, adjustable and easy to use. Instead of permanently enclosing outdoor areas, Palm Beach sunshades make it possible to enjoy the welcoming sunshine in the cooler morning and evening hours while blocking up to 90% of the heat generated by direct afternoon sun. Why spend sunny Florida days indoors? Custom cut and finished for your outdoor application from heavy-duty Phifer screening material or Sunbrella® Fabrics, outdoor roll-up window shades are an attractive and practical addition to homes and businesses with underutilized space.